440 Glass Cockpit Avionics - Airplane Geeks Podcast - The weekly audio podcast that explores and expands your passion for aviation. This episode, we talk to the president of Dynon Avionics, a company that designs, builds, and supports glass cockpit avionics for builders and pilots of small aircraft. In the news, we discuss a celebrity landing on a taxiway, the 2017 General Aviation Awards, a capacity cutback on commercial flights to Cuba, a town that took a man’s Cessna, and the union representation vote at Boeing’s South Carolina plant. Robert Hamilton is the president of Dynon Avionics. 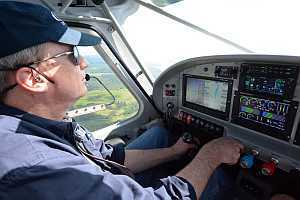 The company was founded in 2000 and is a leader in glass cockpit avionics for light aircraft. Starting with inexpensive AOA indicators, Dynon expanded the line to affordable Electronic Flight Instrument Systems (EFIS) and a full range of glass cockpit avionics products for pilots. Robert learned to fly as a teenager in the family J-3 Cub in the 1970s. More recently he owned a glass panel Diamond DA-40, and built a SkyView-equipped Glasair Sportsman. Last summer Robert earned his seaplane rating. Robert began his career as a Flight Controls Engineer at Boeing working on the 747. But to get more into the business side, he went to the Graduate Business School at Harvard then on to Fluke Corporation as a Senior Manager where he built their electrical power business and helped develop the unique Fluke brand. 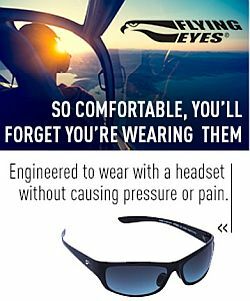 But aviation called to Robert and he joined Dynon Avionics in 2008 as head of Marketing, and then became company President in 2012. 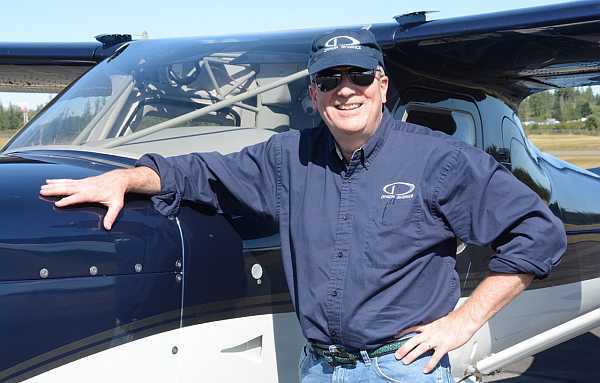 As a volunteer, Robert was the president of the Washington Pilots Association at Paine Field, and is a member of AOPA and EAA. When a pilot lands on a taxiway instead of the runway, it might not get too much attention in the mainstream media. When Harrison Ford does that in his Husky, it makes the national news. The awards will be presented by the FAA during EAA AirVenture 2017 in Oshkosh,Wisconsin. Some Beechcraft, Grumman, Maule, and Mooney models are now eligible for the STC allowing installation of Dynon electronic flight information systems. The EFIS-D10A and EFIS-D100 can be installed in models on the Approved Model List, which EAA says will continue to expand. When scheduled commercial service to Cuba was announced, we were pretty excited, and so were the airlines. Large numbers of flights were allocated to the airlines and some people wondered if the Cuban infrastructure would be strained under the influx of visitors. But it’s not turning out that way. A 69-year old pilot gave up his pilot’s license in 2015 for health reasons. He had his Cessna 152 moved to his driveway in Long Island, but neighbors and the town of Oceanside didn’t think too much of that. When the man was out of the country, the town had the plane removed from the driveway, after disassembling the wings. According to the NLRB, 74 percent of the 2,828 voting workers at Boeing’s South Carolina plant turned down representation by the International Association of Machinists and Aerospace Workers (IAM). Flights Above the Pacific Northwest is a closed Facebook group, originally created with the intent of sharing pictures and videos of local flights around the Pacific Northwest. FATPNW has grown to become an active online community. Hey Techies show – Max Trescott was their guest on Hey Techies 84 talking about learning to fly. What is additive manufacturing? – Published on May 22, 2013 by GE Aviation. This entry was posted in Episodes and tagged avionics, Boeing, Dynon, EAA, FAA, IAM, jetBlue on February 22, 2017 by maxflight.